One power meter; use it on any bike. You’ve probably heard about the development of Dublin based Brim Brothers’ Zone power monitor, they’ve been working on the system for some time. We thought you might like a catch up, to see how the brother’s Brim are getting on. Most existing power meters are particular to one bike or one wheel. Brim have developed something they believe will appeal to more serious cyclists who want to record power on all of their bikes. 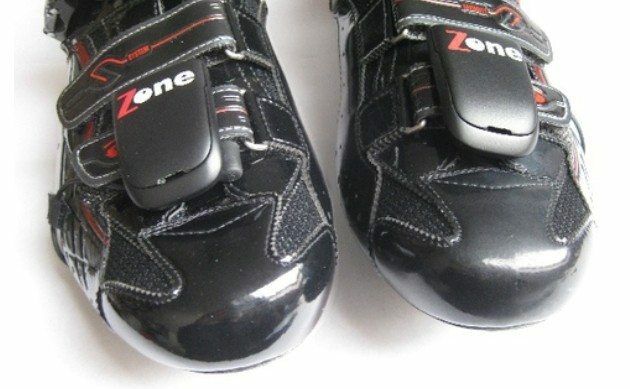 The Zone power meter differs from most others currently on the market in that it places the actual meter in each cleat, with a small transmitter pod that sits on top of your shoe connected by a cable. So if you have two bikes, with the same pedal system, changing bikes will not affect your ability to record your effort. In the image above you can see the cable that attaches the cleat to the pod. This has been changed to a flat ribbon cable and Brim Brothers are working to make sure it is durable enough to stand up to any accidental scuffing. Brim Brothers’ Zone pods are ANT+ compatible, so they will work with units that can display power and use the ANT+ protocol. A single charge should give you 15 hours of use, so as long as you aren’t planning any 24 hour time trials you should be fine. The units will be able to display left and right leg power outputs, so you can start working on that perfect pedal stroke, but details of power accuracy haven’t been published yet. At the moment the system will only work with Speedplay Zero pedals, which CycleTechReview.com recently previewed here. Brim Brothers plan to eventually roll out the system to other pedal platforms. 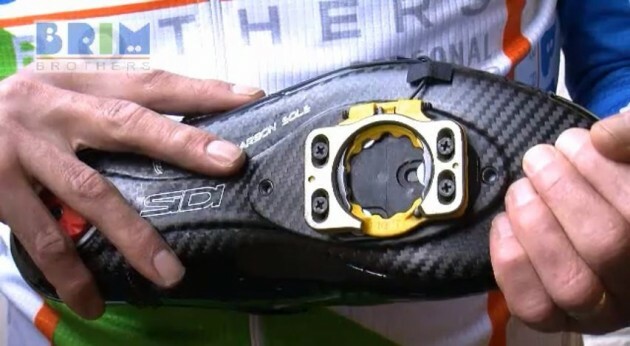 This seems a great idea, as long as you are happy to keep one shoe/pedal combination on all your bikes, which most of us don’t…whilst you may have Speedplay on your race bike, a track bike and maybe a training bike, its likely you’ll also have a mountain bike or a cross bike with a different pedal system. Brimm Brothers have been developing their system since 2008, something they dreamed up on long winter training rides; we generally discuss cake on our rides. With many years of experience in the design and manufacture of electronic and software systems, as well as being competitive club cyclists, the brothers Brim have all the right credentials to see the Zone through to a finished product. Pricing will be ‘competitive’ with other power systems, which aren’t the cheapest of items. A contact of ours is due to meet with the Brim Brothers soon so we’ll report back with more information after that. In the meantime here are a couple of videos from Brim to watch. Swapping power meters between bikes can be such a chore, unless you are running Brim Brothers’ Zone meter.